Using wood ash in the garden is the best way to employ it, instead of throwing it away. Best way to use wood ash is to spread it on the garden beds. But you should do this with precaution of not exaggerating the doses as wood ash increases the pH level. Wood ash contains calcium carbonate around 25%, potassium 3% and other useful elements like phosphorous, manganese and zinc. In terms of commercial fertilizer, wood ash contains 0-1-3 (N-P-K). Phosphorus is useful in the coloration of flowers and in the flavor of the fruits along with potassium, which is useful in the growth and cultivation. There are several other trace elements found in wood ash such as magnesium, iron, copper, boron etc. These contents may vary according to the type of wood you use for combustion. Ash from hardwood trees is most useful and contains more trace elements than ash of softwood trees, softwood trees are coniferous with needle like leaves. One more thing you need to know is that ash produced from pruning of saplings contains more proportion of potassium and other trace elements, while older wood contains lower concentration of nutrients. The use of ash from firewood or the combustion of pallets is allowed in organic gardening. But in any case you must avoid the ash produced from the combustion of cardboard, painted wood or wood treated with chemicals. You can also use charcoal ash, but avoid the one coming from coal because it contains higher amount of metals. You can preserve ash for longtime, for this pack it in paper bags or sealed airtight bags, away from moisture. Spread and rake wood ash directly on the soil on vegetable patches in late winter at a rate of 1.7 – 2.4 oz per square yard (50 – 70 g. per sq m.). Although in smaller extent you can use it in any season. Use of wood ash is excellent in the preparation of compost. Ash adds micro-nutrients and small amount of potassium and phosphorus, but due to its ability to change the soil pH, avoid excess use. So while you are pilling up compost, sprinkle some ash after every 6 inches of layer. If your compost is rich in fruit peals and other acidic waste, increase the amount of ash. If used with care, ash can be applied to repel pests like slugs and snails as it draws water out of their bodies. Spread ash around the garden beds or at the base of trees that you want to protect against unwanted surface feeding pests. Avoid thick layer and spread out ash thinly as its accumulation increases pH level and salts in soil. 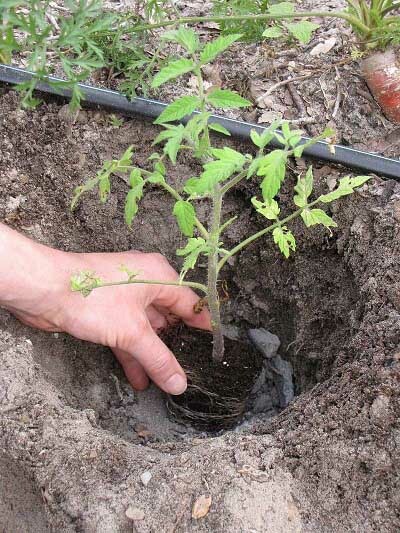 If your soil is acidic, apply wood ash while planting tomatoes as tomatoes prefer slightly acidic to neutral soil. 1. Apply wood ash if your soil is acidic and below the pH level 6. Most of the plants love slightly acidic to neutral soil with pH level around 6 to 7. Avoid its overuse if your soil is already neutral. 2. Vegetables like tomatoes, broccoli, cabbages, arugula, artichoke, pole beans, asparagus, beets and many root vegetables prefer neutral to slightly alkaline soil with pH level around 6 – 7.6. 3. Wood ash is useful for brassicas(Brussels sprouts, cabbage and cauliflower) that are suffering from club root. 1. As ash is high in alkalinity, while applying it, wear eye protection and gloves. If the ash is very fine and you’re spreading it in large extent also wear a dust mask. 2. Do not mix and apply wood ash with nitrogen fertilizers like ammonium sulfate, urea and ammonium nitrate. These fertilizers emit ammonia gas when come in contact with high pH level substance like wood ash. 3. Do not apply wood ash on seedlings. 4. Do not apply and leave wood ash during rain, otherwise its essential element potassium (useful in formation of flowers and fruits) that is available in a soluble form will be wiped. 5. Do not apply wood ash on roses, rhododendrons, azaleas and potatoes. If you are using wood ash in the garden wisely and occasionally, you can easily alter and amend your garden soil without any problem.